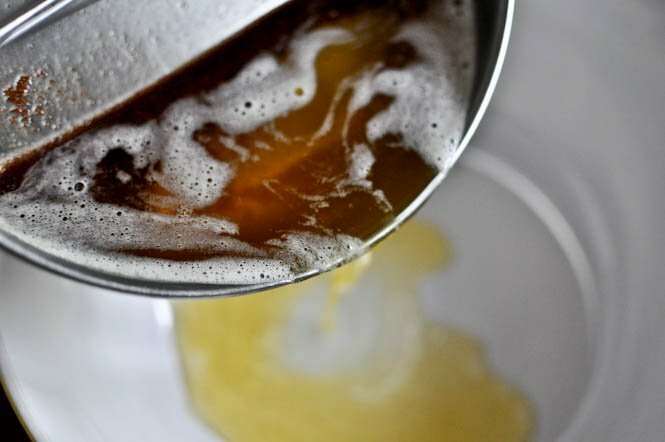 Nothing is quite as delightful as brown butter. 2. The first bite of gravy piled on top of stuffing piled on top of mashed potatoes on Thanksgiving. Which I’m sure makes you I-can’t-let-my-food-touch-on-my-plate people (I’m looking at you, Kelly) cringe. 4. Little black dresses that fit like a glove. But that’s all. Seriously. I mean, I can’t even think of anything else because I love brown butter so much. And I’m definitely done thinking about brown butter and little black dresses TOGETHER. Forever. That’s just no fun. Sure, I go through my phases – or shall we call them obsessions? – but this one is sticking. I honestly can’t think of a darn thing that brown butter doesn’t compliment perfectly. I don’t even know if I’ll use plain butter on the reg anymore. I know enough to tell you that this is my current favorite cookie. The best cookie, according to me, that has come out of my kitchen. And maybe that’s just because I want to drink the brown butter or maybe it’s because I spent the majority of ages 9, 10 and 11 living off of Heath Bar Blizzards and crying that I couldn’t squeeze into my lace-bottomed leggings, but whatever. 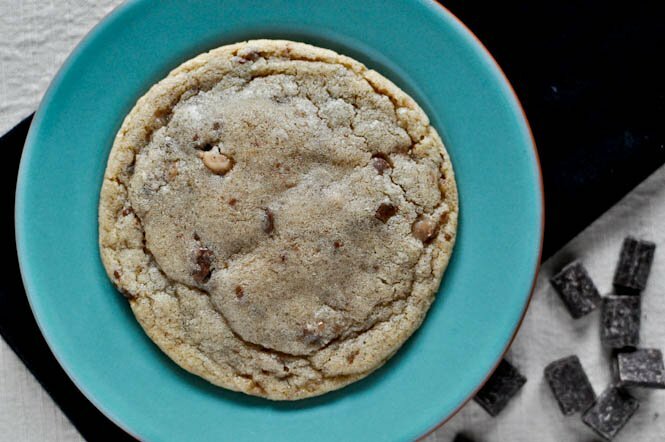 These have got to make an appearance in your kitchen. Heat a small saucepan over medium-low heat and add butter. Whisk until butter melts, then continue to stir and whisk just until tiny brown bits appear at the bottom of the pan. Remove from heat immediately as the butter can burn very quickly. Set aside and let cool for about 10-15 minutes, until the butter comes to room temperature. 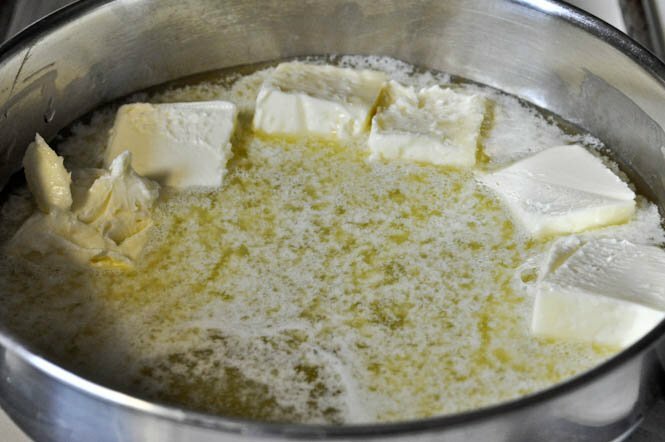 Once butter has cooled, add to a large bowl. 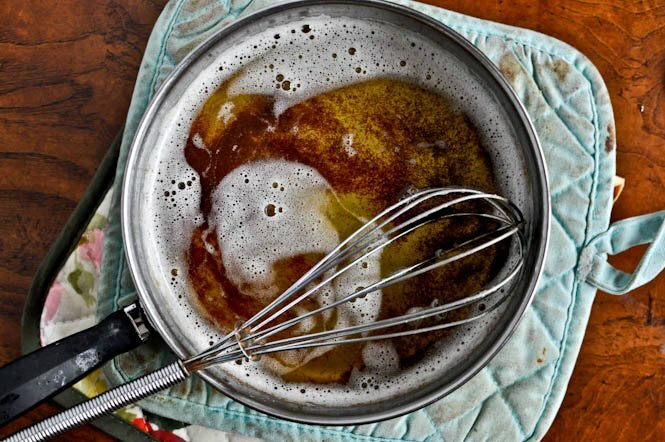 Whisk in sugars until smooth and caramely in color, then add in the egg and egg yolk. Mix again until combined, then add in vanilla extract and mix. Add in flour, baking and soda and salt, and mix until a dough forms. The dough may be crumbly but continue to mix – even using your hands if needed – until it comes together. Fold in toffee chips. Roll about 1 1/2 tablespoons of dough into a ball, then press some chocolate (your choice) into the middle. 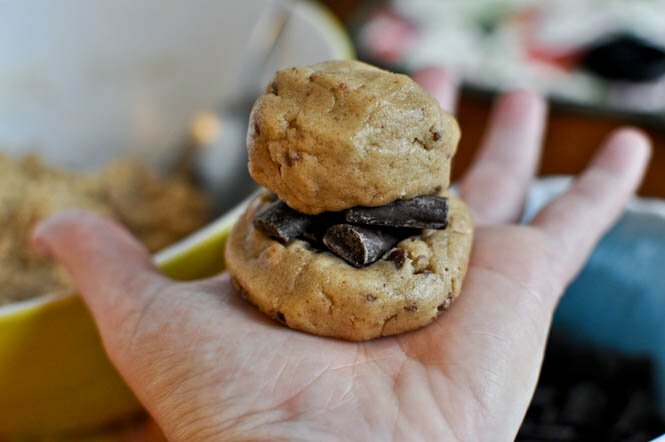 Top with an additional 1 1/2 tablespoons of dough, and seal the sides, rolling the dough into a golfball-sized ball. Place on a baking sheet about 3 inches apart (I only baked 6 at a time). Bake for 12-14 minutes, or until edges are slightly golden. Let cool for 5 minutes on the baking sheet, then gently remove with a spatula to a cooling rack. I saw these & made my boyfriend take me to get all the stuff! They were AMAZING!!! So sweet & soft. We al a mode with vanilla bean ice cream :) most def a must try! After youve rolled them do you have to flatten them on the baking tray or can you leave them as balls?